This collection of engaging and simple to use activities will help teachers to develop children’s mental and emotional wellbeing while also including the thinking skills necessary for learning. Jumpstart! 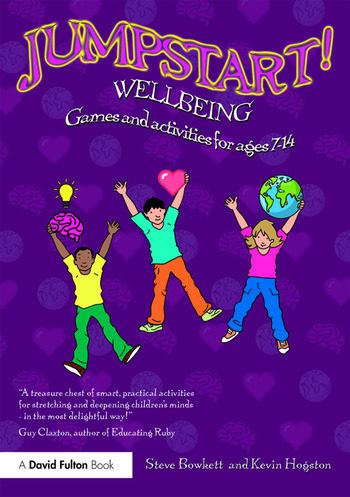 Wellbeing is a treasure trove of fun activities and ideas for building wellbeing and its constituent skills into the curriculum. Kevin Hogston is Head Teacher at Collis Primary School in Teddington, UK. He has worked in primary education for almost 20 years, including the role of an Advanced Skills Teacher for Emotional Wellbeing.